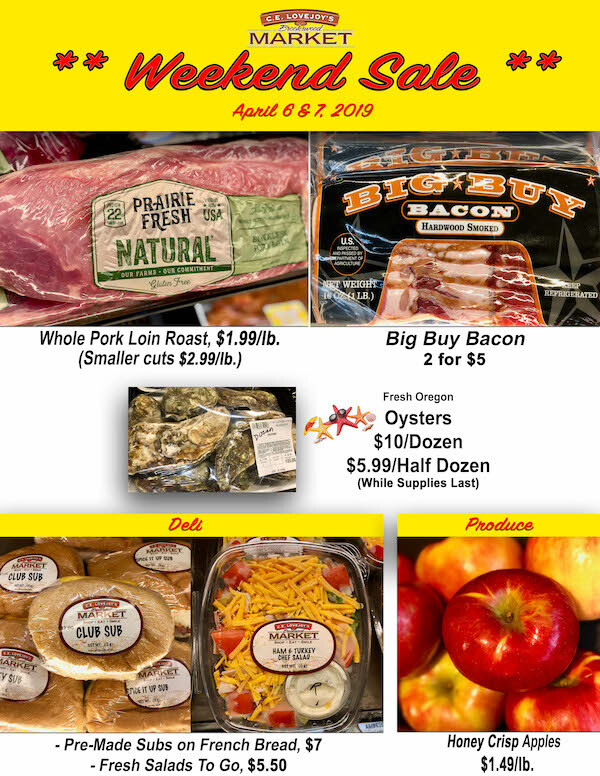 Weekend Sale – Saturday and Sunday Specials at Lovejoy’s! Brighten up these gray days with bacon, oysters and club sandwiches! Need we say more??? Get these special deals here this weekend, rain or shine. ???????? – Honey Crisp Apples, $1.49/lb. – Pre-Made Sub Sandwiches on French Bread, $7 ea. – Fresh Salads in our Deli Case, $5.50 ea.